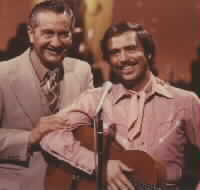 Jim Turner was a country singer on the Lawrence Welk Show from 1979 to 1982. Turner often sang duets with fellow country singer, Ava Barber, on the Show. Turner was born and raised in Knoxville, TN and first got involved in music performing in a local band on the south-eastern college concert and club circuit. 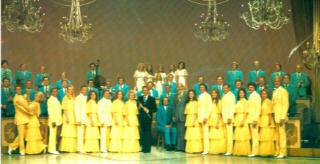 He then toured Europe as a guest soloist, guitarist and country singer for the University of Tennessee choir. After graduating from college, Turner moved to Nashville where he found success as a country songwriter, session player and recording artist. After being discovered by Lawrence Welk, Turner became a featured country singer and guitarist for the show and singing partner with fellow country artist, Ava Barber. Since leaving the Show, Turner has guest appeared on Nashville Now, Dinah and Friends, Pat Boone USA and other national television shows. During the World's Fair, Turner starred in the Broadway production of 'Drumwright', a project of two-time Tony Award winner, John Cullum. Turner went on to headline in his own shows at Knott's Berry Farm and Opryland. Turner continues performing all across the country, as well as commuting between L.A. and Nashville for his recording commitments.